Whether it’s a giant enterprise or a small business, video surveillance plays a vital role in keeping the facility secure. In recent years, there has been a rise in migration from analog to IP, but there are still many businesses that have been resisting the switch. What seems to hold some businesses back is the thought of the initial cost that’s required to update surveillance systems. However, this perception is unfounded as IP cameras are quite affordable and easy to install. 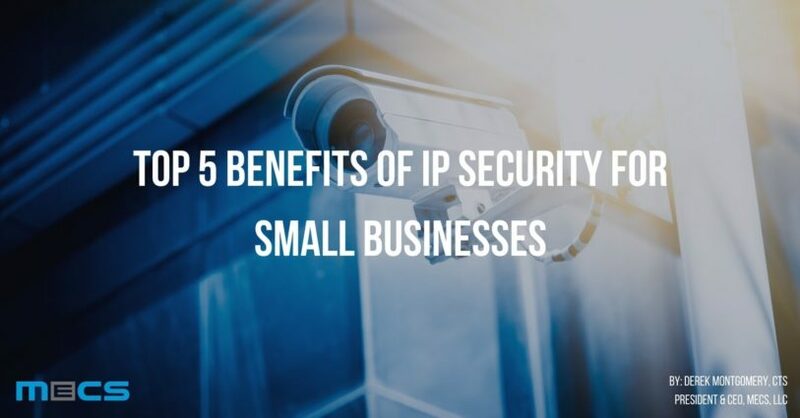 Small business owners are already reaping the benefits of VoIP, so why not also take advantage of HD cameras and network storage that come with IP security video surveillance? Here are five benefits of switching from legacy analog security systems (cameras and DVR systems) to IP cameras and dedicated network video recorders (NVRs) to keep facilities monitored and secured. Analog low-definition cameras and surveillance systems are on their way out. The primary reason for this is the fact that high-definition IP cameras and NVRs are competitively priced and come with highly advanced hardware. NVR, in particular, is built with state of the art hard drives that are designed with a backup known as RAID (redundant array of independent disks). When you utilize RAID, the data will be spread across multiple HDDs, so if one drive fails, the files will be backed up on another hard drive. Most companies already have an analog system in place, so it makes sense that they would want to maximize their existing investments. As a result, when analog components start to fail, small businesses have the opportunity to switch out components one at a time. This means that you can upgrade to an IP camera and NVR system slowly by leveraging a hybrid environment. This approach also offers companies the flexibility of funding their surveillance technology over time. Network attached storage (NAS) based IP security systems have proven to be much faster, reliable, and more durable than their analog counterparts. With NVR and RAID data management, IP cameras for security surveillance make a lot more sense for businesses today, in the digital age. We already have better television viewing experiences through HD, so why not enhanced security to through HD? High-definition or HD IP security cameras are now highly affordable and offer expanded surveillance environments, better resolution, and highly detailed images. IP cameras are an inexpensive way to monitor any location within the premises from anywhere in the world (remote access). Furthermore, this approach also helps ensure the physical safety of all employees while protecting valuable assets like data and project inventories. Furthermore, businesses can also boost productivity by enabling employees to focus on core businesses tasks while also monitoring the reception, warehouse, or shop floor. This makes it an ideal solution for companies with just a few employees. Video surveillance technology is rapidly evolving and expanding to keep up with the demands of the digital age. As businesses embrace digitization, it’s also important to have modern security technologies in place to optimize security and efficiency while reducing costs. Derek Montgomery has over 20 years of experience in the electronic technology industry. During his time in industry, Derek realized that most organizations were being underserved by technology companies who were more interested in selling products than creating lasting partnerships. Using his in-depth knowledge and love of technology, Derek founded MECS, with the goal of providing innovative solutions and unparalleled customer service.